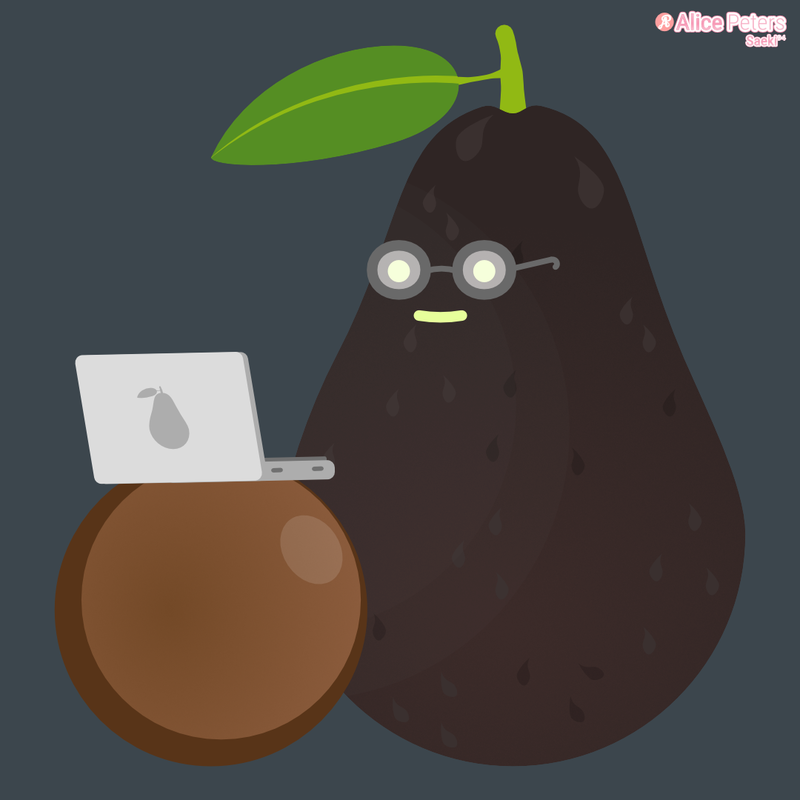 The Devocado is a simple food character based on the topic "Developers". The Devocado is a so called hass avocado. If we think of the word hass as a german word, we can translate it into hate which then fits the image of an angry / hateful developer.